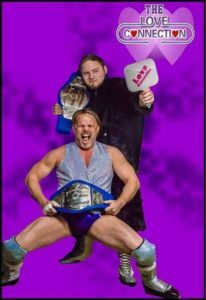 This past saturday at the #HerbWelchWrestleplex in Dyersburg, TN, The Love Connection went into their match against The Posse for the NWA Tag Team Championships very furious. At the beginning of the show Branch Manager Jon Michael told Van “The Man” Van Horn that him and his partner, “Drop Dead” Dale Wylde, would not only wrestle once but twice that night. As the match between The Love Connection and The Posse started out we could see a whole different side of The Love Connection come out as they won and became 3 time NWA Mid South Tag Team Champions.